Our second lightest mat, 1/8 inch thick. Great for travel and for those who prefer closer contact with the ground. 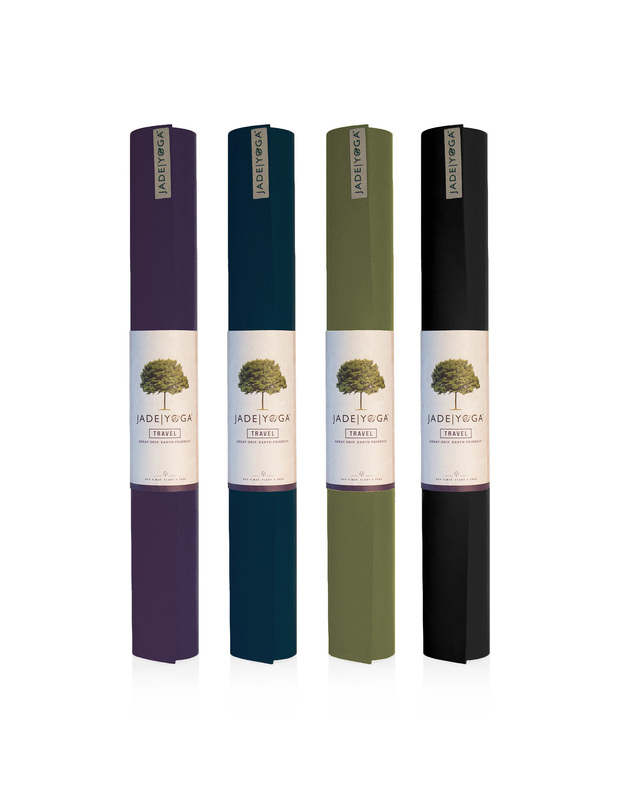 The natural choice is the Travel yoga mat from JadeYoga. 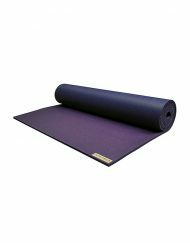 Travel brings together natural rubber from the Far East, one of earth’s most amazing natural resources and Western technology to form a mat that is perfect for your yoga practice. 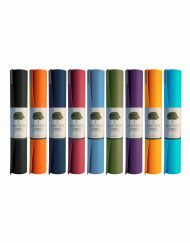 JadeYoga Travel yoga mat is constructed of natural rubber, a renewable resource tapped from rubber trees, containing no PVC, synthetic plastics, or ozone depleting substances. 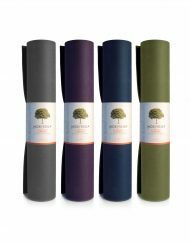 Through our partnership with Tree For the Future, JadeYoga plants a tree for every yoga mat you buy. Jade is perfect for the yogi concerned about the environment. I finally find the mat I needed after years of searching. Great grip, no sliding, great travelling size, durable, nice. I Love it. THNX for making such mats. I’ve had this mat for years and needed a second mat to keep in my car. I wouldn’t dream of getting a different mat. I’ve loved this one. Perfect thickness, weight, length, material….love everything about it. I researched a mat that was eco-friendly, and light enough to carry on a 20-30min walk to class and came up with this. It’s definitely thinner than my previous mat, but I always bring a towel w/me to class anyway (hot yoga) so it’s not been an issue! There is a rubbery smell, but as one who is sensitive to smells, Ive not found it obnoxious and dont mind it at all. 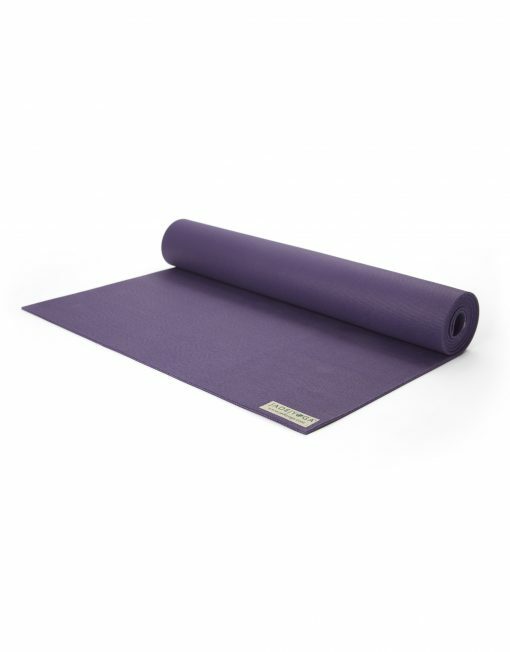 It’s in purple (my fave) and good for hot yoga (b/c of its stickiness). I will have to be careful to keep it out of the sun during the summer and get a fabric carrier for when it’s stored in my car for this reason. But, I like this mat and look forward to many years of use out of it! TY, Jade Yoga! 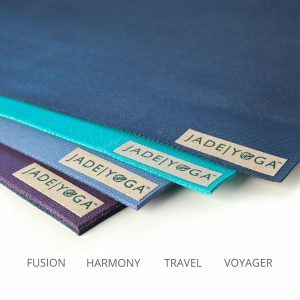 I’ve had my Jade Travel Mat for almost 6 years now and it has been a great mat! It’s just now starting to show visible wear, but it hasn’t really affected the quality too much. 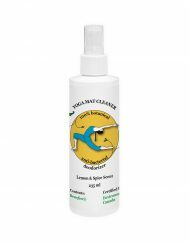 I’ve used it consistently for hot yoga and home practice. Easy to clean, lightweight, but still feels like a good sturdy mat. Really nice grip too. Worth the money! 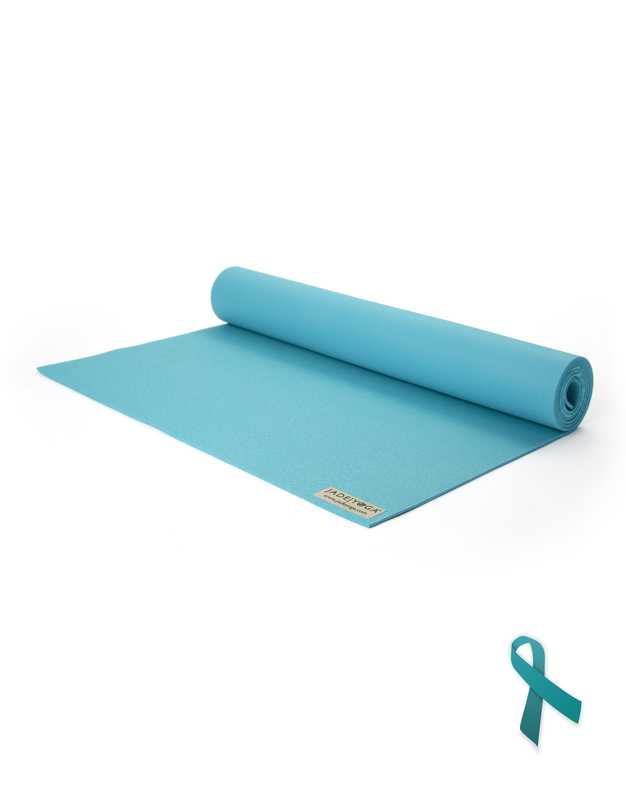 As a yoga teacher who travels a lot this mat has been perfect for setting up impromptu classes. It is lightweight and durable. It went with me all over Baja California this summer from beaches to indoor studios and held up really well. Great in all conditions and good in heated classes. 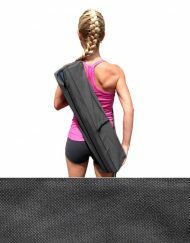 It’s nice to have a mat that is light and travel-friendly! 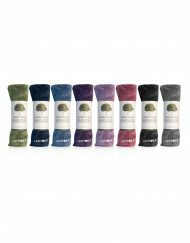 I purchased the travel mat f/ Jade primarily because of my own environmental practices along with the fact it is more lightweight than their other mats & Im a huge cyclist, so wanted to keep it simple. At first I was concerned after I received/used it b/c Im a guy & sweat a lot and was slipping a lot. 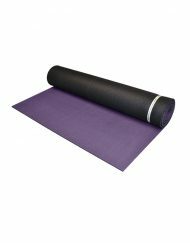 I spoke to numerous other yogis regarding this and they all basically said you will not find a 100% skid free mat if you sweat a lot. Jade traction is the better than any other brand I’ve tried. I really don’t think you can do better traction-wise. To me, traction is the main reason to use a yoga mat at all. I got the thinner, Travel mat because it is less expensive and it is lighter. 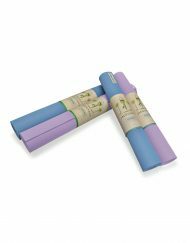 I ride my bike and go camping a lot, so I didn’t want the extra weight of the Harmony mat. Cushion is not really a problem because I can fold over an edge of my mat when I need extra support under my knee. Also, I go to community yoga a lot, and there are always free mats there I can use to double up. Again, I haven’t come across a mat brand with better traction than Jade, and to me, light weight is more important than cushion. I have been using my mat for 10 years and I love it. I have one for teaching in my studio and one for travelling. My easy recommendation is invest in your practice and use Jade! This is a wonderful mat, light weight nad the grip is amazing. I have traveled with it to many places but I use it on my daily practica also. I have had it for five years and it is still in good condition. I hace tried mats fronm other companies but none has the frip and durability of this one. I recommend it wholeheartedly.